Give a great first impression to your guests with this Contours grey door mat from Multy Home. 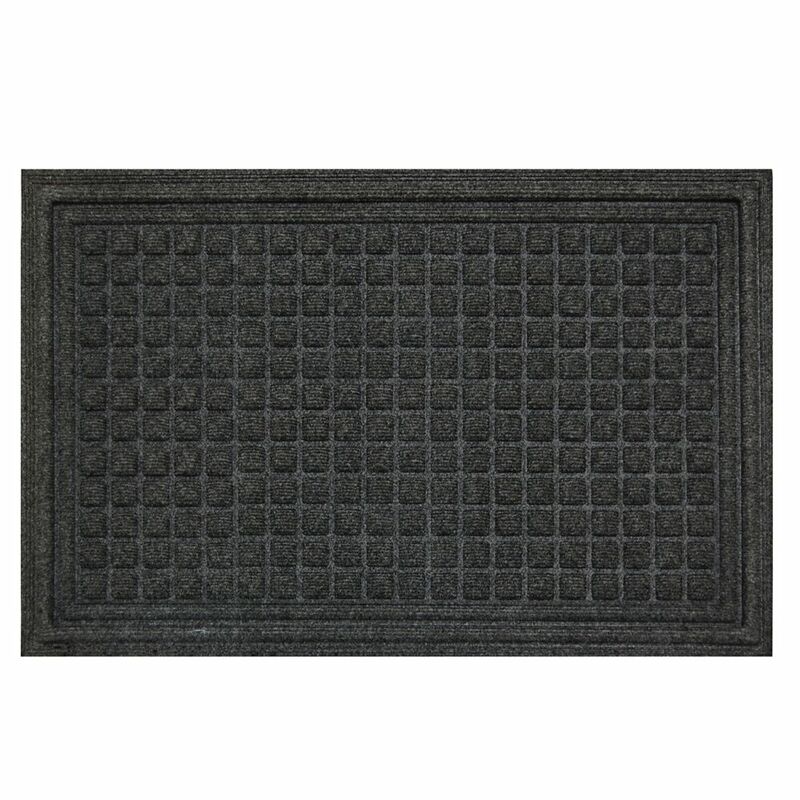 This rectangular shaped mat fits in any doorway. Made out of comfortable recycled rubber material, this indoor/outdoor mat is exquisite. Designed from recycled rubber material for durability. Your home could use a simple upgrade with the comfortable and durable materials used for this piece. This Metropolitan grey utility mat from Cam Living is sure keep the entrance to your home extremely stylish. Make a statement with this rectangular shaped rug. Perfect for indoor use, this mat is made from a strong and stylish synthetic fibre. Place this Printed door mat from Home Decor in your front entrance for a great addition of style. Made into a rectangular shape for style and convenience. The pattern on this mat compliments the synthetic fibre material. Welcome your quests with the heavy duty 2 x 3 ft coir mat, featuring rubber backing, frame detail and Bienvenue inscription. 100% coir fibers provide excellent scrape. Heavy rubber backing keeps the mat in place. Contours Grey 2 ft. x 3 ft. Indoor/Outdoor Rectangular Door Mat Give a great first impression to your guests with this Contours grey door mat from Multy Home. This rectangular shaped mat fits in any doorway. Made out of comfortable recycled rubber material, this indoor/outdoor mat is exquisite. Contours Grey 2 ft. x 3 ft. Indoor/Outdoor Rectangular Door Mat is rated 4.0 out of 5 by 1. Rated 4 out of 5 by Kimm from Good Mat Good, front door mat. The charcoal colour is basically black.